No matter the size of your home, Signature Iron Doors has technicians and designers who are proficient in every style and size. This is a home we helped remodel near Coto de Caza California. They fell in love with our Milan style doors and so we crafted these complementing garage door, garden gate, and entry door for them. All our iron is hand forged and given specific attention and care from our technicians and managers. 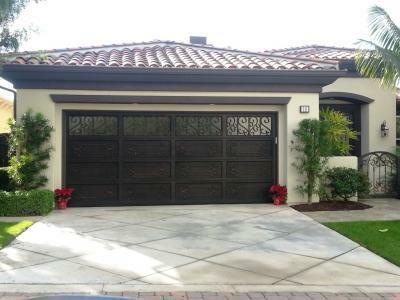 Call us and find out about the iron garage door possibilities for your home’s remodel.